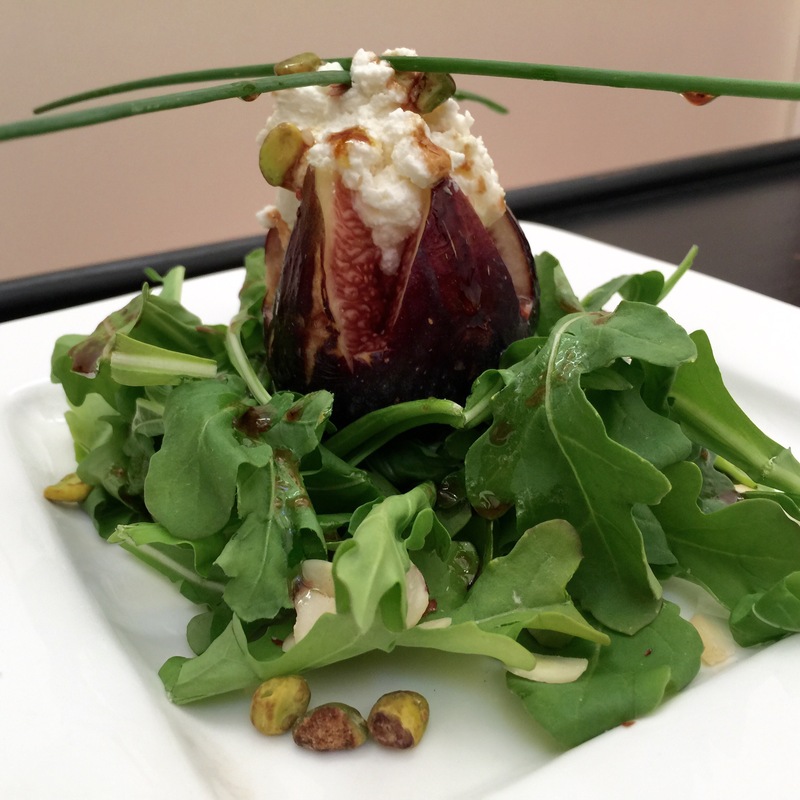 Inspired by a recent trip to Italy, this fig salad incorporates everything wonderful into one plate. 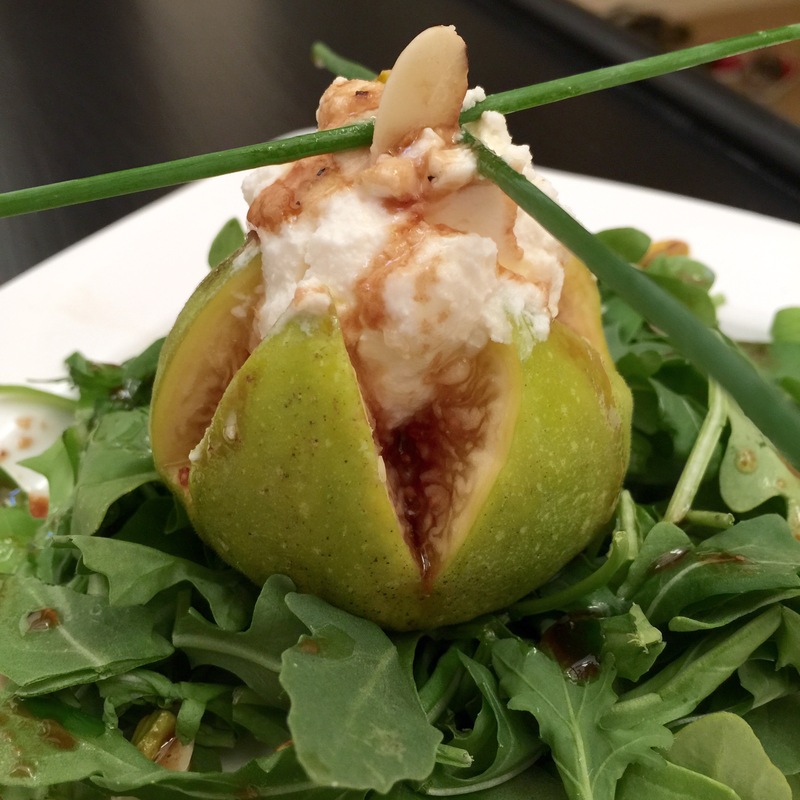 Creamy cheeses are combined with ripe, sweet figs and placed on a bed of crisp arugula. 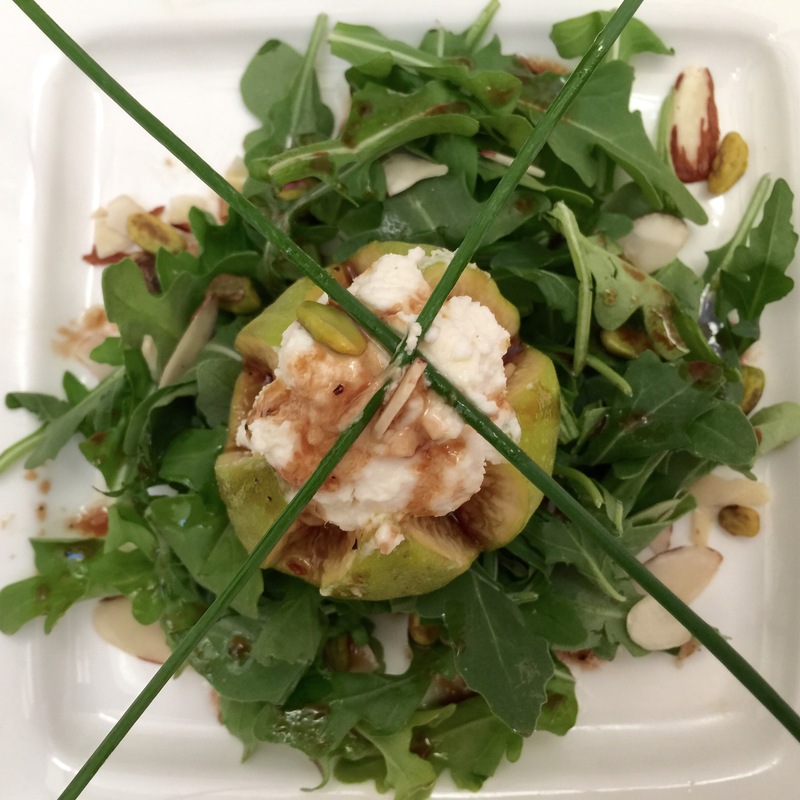 Topped with pistachios, almonds, and a lovely honey balsamic vinaigrette (which can be used with many other salads! ), this vegetarian salad is fit, filling, and delicious. Place all vinaigrette ingredients into mason jar and SHAKE! Set aside. Lay 1 cup of arugula on each plate. Score fig into fourths. Lay on top of arugula. Combine goat cheese, mascarpone cheese & milk. Mix together until very well incorporated. Roll cheese mixture into 4 balls and place inside of fig. Top with pistachios, almonds, and honey balsamic vinaigrette. And sahtein–or deux healths!